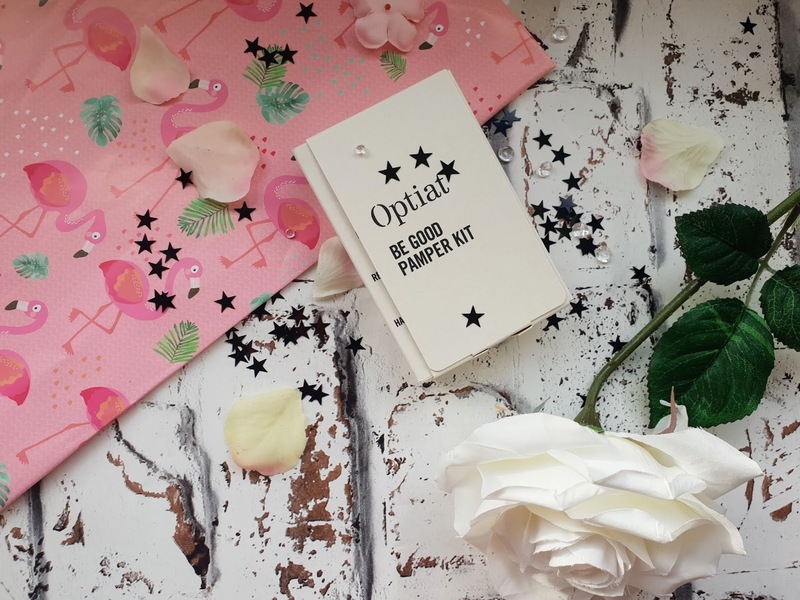 I am sure many of us have heard the phrase - 'One person's trash is another's treasure' and that phrase comes means everything to the skincare brand Optiat as it is their acronym. I first heard of the brand while I was watching them pitch on the popular show Dragons Den and thankfully they got an investment and I can honestly see why! 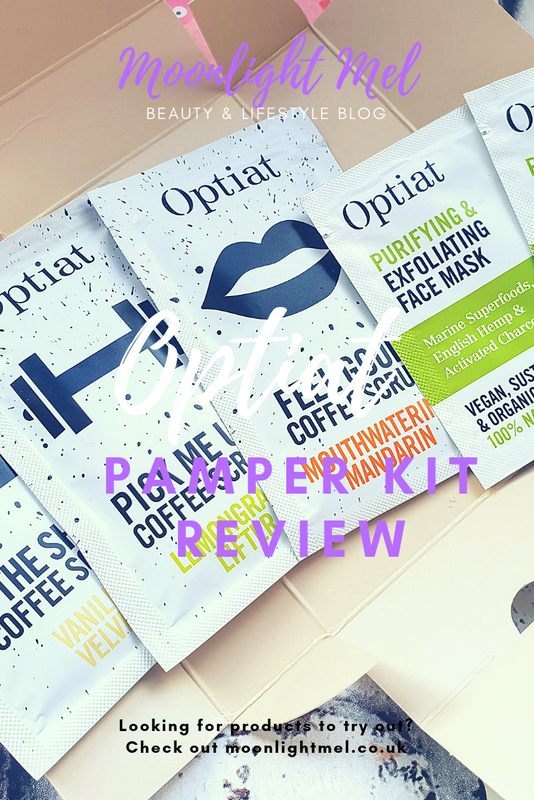 Optiat makes coffee scrubs, chai soap blocks and hemp face masks. The brand's products are 100% vegan-friendly and are currently free too. One thing that has to be told and something that is just ingenious is they use used coffee grounds from bars, cafes and restaurants from all around London and to keep the coffee in the tip-top shape they a natural preservative that is permitted by Natrue and the European natural cosmetic board. It's a great step forward on using used coffee grounds as at the moment 500,000 tonnes of coffee grounds are sent to landfill every year! 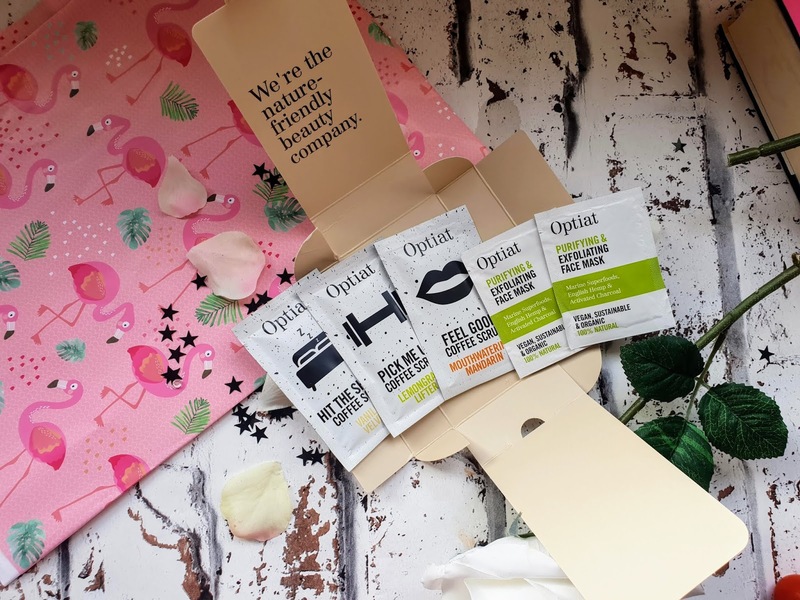 I was kindly sent this be good pamper kit by the lovely people at Optiat so I could try out their products. Inside the pamper kit is a various selection of the coffee scrubs and face mask sachets. The first thing I noticed is the amazing packaging, I really do think it stands out perfectly and each product has its own little design on it. These are just sachet sizes but the bottles of the product have the same amazing designs on them. The sachets may look small but don't let that deceive you because each sachet is one use and they is plenty of product to use, unlike many sample sizes which aren't usually big enough to try let alone do a review about them haha. It has been ages since I last used a coffee scrub and the first time I tried a coffee scrub I wasn't impressed at all because it didn't have a nice smell to it at all and it basically just clogged up my bath which was a blooding right pain believe me. These coffee scrubs are just lovely and I can honestly say they are the best natural coffee scrubs I have tried. Each of them is made from food grade arabica beans which are rich in antioxidants and is also an amazing natural exfoliator. I will break down the key ingredients below and explain a little bit about the benefits of each of the ingredients. Brown sugar: Helps cleanse the skin and is the perfect alternative to plastic microbeads. Essential oil blends: This adds the lovely smell to the scrubs. These coffee scrubs do no replace shower gels/soap in the shower but they are something to add to the routine. Basically, I use this scrub after I wash my hair and used a shower gel. It can be simply used by applying with hands or using a sponge. Applying generously the aroma of these coffee scrubs are refreshing and sure to wake you up seeing as they contain caffeine. They do not clog the plug and they don't stain the bath/shower either which is a bloody relief as cleaning the bathtub sometimes with some beauty products is a right pain. Overall these are all just a lovely skincare treat. They are all lovely and have very nice scents with them, they don't have an overpowering smell its just like a refreshing coffee with a blend of essential oils with the scent of whatever product you choose. My favourite has to be vanilla velvet as it reminds me of vanilla lattes which I just love in the autumn/winter months. I love that these products are natural and have so many benefits for the skin. The caffeine in the scrub stimulates blood flow, effective against cellulite and stretch marks. It also works well on skin conditions such as acne, eczema and psoriasis. I myself have psoriasis and this helps to soothe my skin and they are all perfectly gentle on my skin which can be sensitive at a time so choosing skincare products right is a must for me. If you want to know more about the brand check out their website in which you can read about the brand and their ethics and also how to purchase the products too. Click the link below for more info. 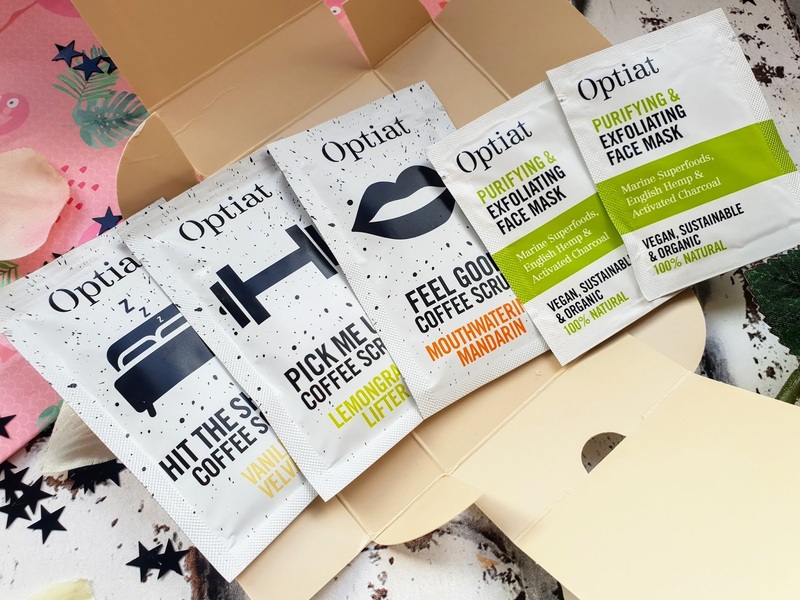 Have you tried Optiat products before? if so which is your favourite? These sound lovely! I remember watching them on Dragon's Den and falling in love. I've never tried a coffee scrub before but I have heard some great things about them. I've tried a chocolate orange scrub by optiat before and it smelt absolutely GORGEOUS. It was made with leftover ground up coffee I think which is so fabulous. 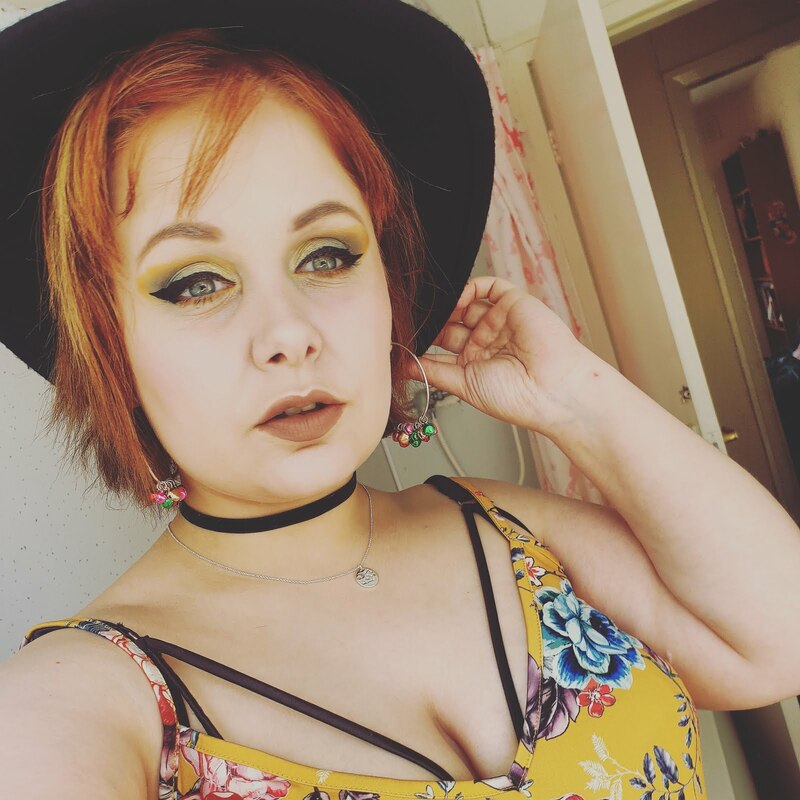 They seem like such a fabulous brand and seem to be doing so well! This pamper kit looks so gorgeous, I'd love to try one of these myself! These not only sound like a great product but a great company too! I will definitely have to keep them in mind!